Iceland’s Prime Mini­ster and Mini­ster for Fin­ance and Economic Affairs presented the go­vern­ment’s plan for lift­ing capital controls in a joint press con­f­erence today. The Prime Minister, Sigmundur Davíð Gunnlaugsson, described the need for “unique and unprecedented action” and stated that Iceland could not wait any longer. The Finance Minister, Bjarni Benediktsson, hailed today’s announcement as a “great and most welcome milestone”. A comprehensive strategy for capital account liberalisation. A solution to the ISK 1200 billion problem, while guaranteeing stability. Stability conditions and stability tax on the estates of failed banks. A currency auction for holders of offshore ISK in the autumn. The government will be moving two bills before the Icelandic Parliament (‘Alþingi’) today, which will serve a basis bills for a comprehensive strategy on capital account liberalisation. “The public interest demands that the capital controls be lifted without jeopardising economic and financial stability. The objectives of the current liberalisation strategy are based on the fundamental principal that the controls must be lifted in stages without upsetting the balance in the economy and without imposing additional financial burdens on the Treasury or the Icelandic people,” reads a Ministry of Finance press release. The problem to be addressed is one of a ISK 1.2 trillion (approx. €8 billion) ‘overhang’. 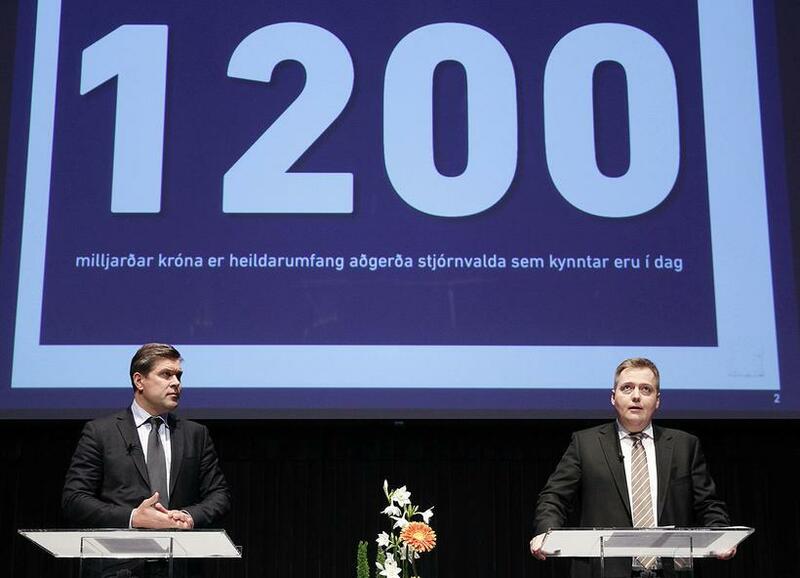 This is made up of ISK 500 billion in ISK assets of the failed banks’ estates, ISK 400 billion in foreign-denominated claims against Icelandic residents, and ISK 300 billion in offshore ISK held by non-residents. The announced strategy prevents these assets from flowing into the foreign exchange market and thereby adversely affecting Iceland’s balance of payments. If failed bank estates do not complete composition agreements by the end of 2015, a one-off 39% tax will be levied on their total assets. The tax is intended to address the negative effects deriving from full distribution of capital upon the conclusion of taxable entities’ winding-up proceedings. It is estimated that Treasury revenues from the stability tax could total ISK 682 billion, adjusted for authorised deductions. The offshore ISK problem is to be solved by means of a currency auction and the sale of ISK and EUR-denominated bonds. The auction process will ensure that all offshore ISK are brought under control. Any offshore ISK owners that bid on foreign currency in exchange for their ISK will pay a premium for doing so, thereby bearing the necessary cost of releasing them from the confines of the capital controls. The full press release from the Ministry of Finance can be seen here.